I am humbled by Pope Francis’ decision to appoint me to serve as Apostolic Administrator for the Archdiocese of St. Paul and Minneapolis. I am grateful for his confidence and I look forward to working with Auxiliary Bishop Andrew Cozzens and the leadership of the Archdiocese. I pray that I will be able to be of some service to you, the priests and faithful of the Archdiocese, as you prepare for the appointment of a new Archbishop. Fondly recalling my years as a Bishop in Northern Michigan, where I first came to know the vibrancy of the faith shared by Catholics of the upper Midwest, I am hopeful that there will be opportunities to meet many of you in the weeks ahead. Mindful of Pope Francis’ challenge to bishops to be true shepherds who walk in the midst of the flock to the point of developing “ears open to listening to the voice of the sheep entrusted to their care”, it is my intention to be as available as possible, while still fulfilling my responsibilities as the Coadjutor Archbishop of Newark. As the Universal Church prepares to embark on a Year of Mercy, I look forward to getting to know this local Church and experiencing in a new context the marvelous ways in which the Lord works through His people to make His grace and healing presence known and felt, even in the most challenging of times. Our loving God frequently finds ways to remind us that even those who exercise leadership in the Church do so as laborers and not as the Master Builder: the Church is not ours but Christ’s. While it is always true that we are merely stewards for a time in a vineyard that is not our own, the role of an Apostolic Administrator is particularly temporary. The law of the Church reminds us that an Administrator is not to introduce change, but rather to facilitate the smooth continuation of the ordinary and essential activities of the Church, while advancing those positive initiatives to which the Archdiocese is already committed. It is my hope that I might be able to be faithful to that vision so that whenever a new Archbishop is appointed, he will find in this local Church a vibrant community of missionary disciples that is growing in its knowledge of the love of Jesus and in its shared commitment to the Gospel. For this to happen, I realize that I will need the prayers and support of you, the priests, deacons, religious, and laity of the Archdiocese. In this time of transition, please join me in asking for the intercession of Our Lady of Mercy. May she not only seek God’s blessings for those who have given themselves to the service of this local Church in the past, but also draw us ever closer to the Heart of her Son so that we might more perfectly radiate His healing love in the days to come. Read a statement from Archbishop Nienstedt regarding the future of the Archdiocese of Saint Paul and Minneapolis. 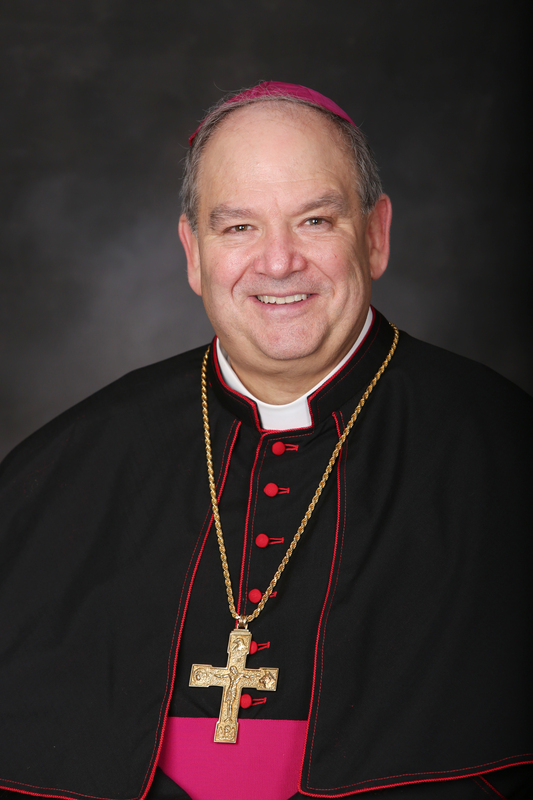 Read a statement from Bishop Piché regarding the future of the Archdiocese of Saint Paul and Minneapolis. Read a statement from Bishop Cozzens regarding the future of the Archdiocese of Saint Paul and Minneapolis. Download a high-resolution photo of Archbishop Hebda.